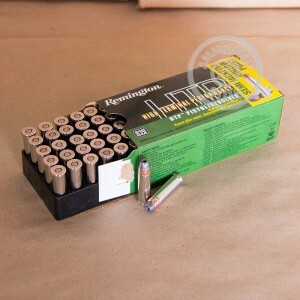 This .38 Special ammunition from Remington's HTP (High Terminal Performance) series uses a +P loading to provide stronger terminal performance. Each cartridge in this box of 50 fires a 125 grain semi-jacketed hollow point bullet at a muzzle velocity of 945 feet per second. .38 Special +P ammunition should only be used in firearms that can withstand its higher pressures. Due to a change in the "standard" pressure values for +P ammo, many older firearms are capable of firing +P ammo safely. Check with the manufacturer if unsure. 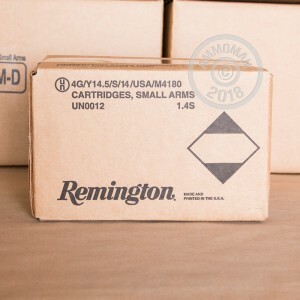 Remington ammo is made in the USA using non-corrosive Boxer primers and brass cases.